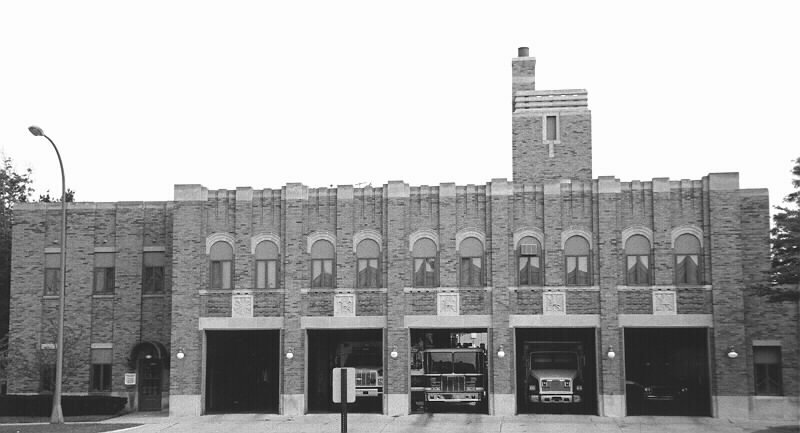 "Muskegon's old Central Fire Station at Apple Avenue and Walton Street does not have a "For Sale" sign in front of it, and won't even go out of service for another six months. But the building already is generating interest from possible buyers"
I would love it if they had someone willing to move in to that place as soon as the city vacates it. I've really been worried about having another empty building in that area. Especially a building as cool as that, It would make a great office, especially if you could use the fire pole to slide down to your car when you leave work! Is this it in the background? Yeah, I understand why they're moving it, and it's been a long time coming, but I just hope it doesn't sit there empty. There is so much development happening downtown but I feel like most of it is a holding pattern. I mean Parmenter built their new offices and now their old ones are sitting empty last I knew, Sidock, the Chamber of Commerce, and Harley Davidson are all moving from one location in downtown to another, and soon the firestation will do the same. I'm not complaining about these places moving because at least they're investing in downtown, but I would really like to see downtown draw more places from outside of downtown. Heggs, the brewpub, and Hyundai is good start, but I'd really like to see more places come and fill up these old buildings too. It'll be a good looking building when it's finished. I just wish they had stacked the living area on top of the truck bays like they did with the old station to make the building footprint smaller, leaving more room for development next to it. Here is the state of the new Central Fire Station as of April 20th. There was a segment about the new fire station on Fox 17 News last night. They showed off the inside and outside of the building, it was a very positive story.